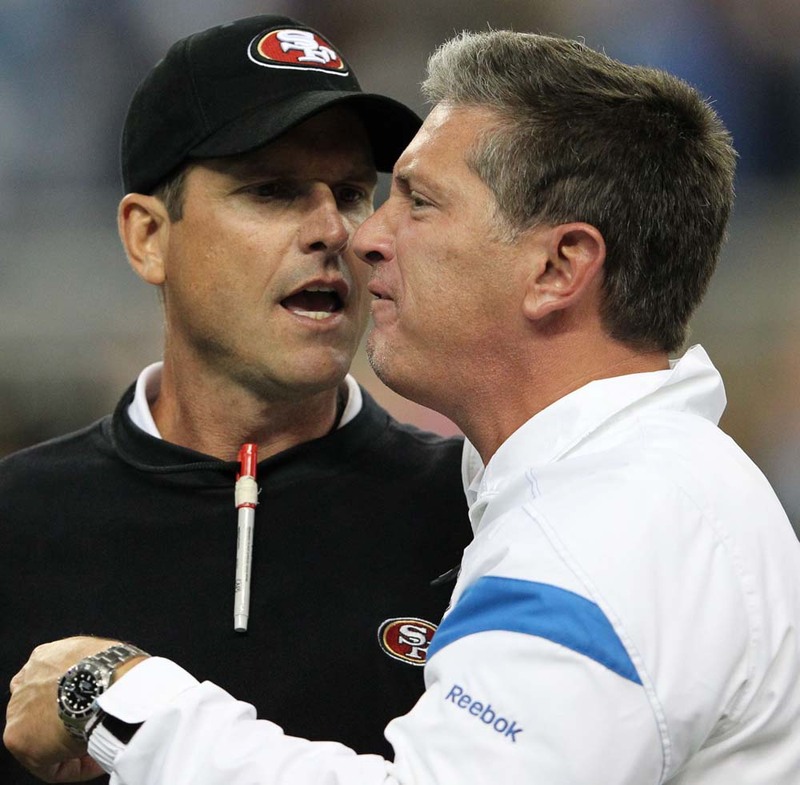 Jim Harbaugh has been known to be outspoken and let’s not forget “handshake-gate” with Lions coach Jim Schwartz. Harbaugh has given the underdog Lions some extra incentive against the Saints according to Chris McCosky of the Detroit News. Radio station 97.1 was playing a sound bite from Harbaugh on Wednesday. With his NFC West champion 49ers off this week, he was asked about trying to prepare for potentially three opponents in the second round. It could be that because the 49ers already have played the Lions this season, he needs to do more work to get ready for the Saints (though they played them during the exhibition season). More likely, though, Harbaugh doesn’t think the Lions can beat the Saints.